The sacred text of Jehovah's Witnesses is the New World Translation of the Holy Scriptures (NWT), a translation of the Christian Bible. The New World Translation is used exclusively by Jehovah's Witnesses. It was originally published by the Watchtower Bible and Tract Society in six volumes between 1950 and 1960. A revised 1961 edition of the NWT excluded the footnotes and marginal references of the original. The most recent revision, New World Translation of the Holy Scriptures with References, published in 1984, restored and updated the references in the original edition. Also available is The Kingdom Interlinear Translation of the Greek Scriptures, first published in 1969, which shows the English translation of the New Testament next to the Greek. For the most part, the NWT is similar to most other modern translations. 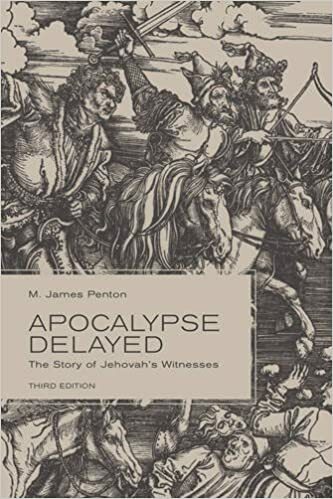 However, notable differences occur in verses that touch on particular doctrines of the Jehovah's Witnesses that differ from mainstream Christianity. Each of the above renderings clearly support the beliefs of the corresponding group about the divinity of Christ. The ongoing debate as to which is the more accurate translation centers around the lack of a definite article (i.e., "the") before "God" in the Greek. Non-Witness translators point out that in Greek, the absence of a substantive article often indicates an indefinite form is meant, but not always. As seen above, this is acknowledged in the NWT by adding the word "the" in brackets before the word "beginning." Mainstream Christians object to these insertions, arguing that the word "other" is neither stated nor implied in the Greek original and that the insertions clearly support the Witness belief that Christ was created by God. Kingdom Interlinear Translation of the Greek Scriptures. Watchtower Bible and Tract Society. New World Translation of the Holy Scriptures. Watchtower Bible and Tract Society. Anderson, Ken. “The New World Translation.” Web. Accessed 23 Mar. 2017. “Do Jehovah’s Witnesses Believe in the Old Testament?.” JW.org. Web. Accessed 23 Mar. 2017. “Have Jehovah’s Witnesses Changed the Bible to Fit Their Beliefs?.” JW.org. Web. Accessed 23 Mar. 2017. Furuli, Rolf. The Role of Theology and Bias in Bible Translation: With a Special Look at the New World Translation of Jehovah's Witnesses. Elihu Books, 1999.